BOISE STATE WOMEN'S BASKETBALL IS BACK! The defending Mountain West regular-season and tournament champions host 15 regular-season contests and one exhibition at Taco Bell Arena in 2018-19, highlighted by a Nov. 19 NCAA Tournament rematch with 2018 Final Four participant Louisville. The Broncos and Cardinals met in last year's NCAA Tournament First Round, with Louisville capturing the 74-42 victory on March 16. This year's home slate begins Thursday, Nov. 8, with 2018 NCAA Tournament participant and Big West champion Cal State Northridge coming to Taco Bell Arena for a 5 p.m. tip. In addition to the Matadors and Louisville, the home campaign includes non-conference visits from Eastern Washington and Southern Utah from the Big Sky. The nine-game Mountain West home slate tips off Wednesday, Jan. 2, with a rematch of last year's thrilling regular-season finale against Wyoming. Last March 2, the Broncos and Cowgirls faced off in Laramie in a winner-take-all contest for the Mountain West regular-season title and the top seed at the Mountain West Tournament. Boise State, thanks to a then-career-high 24 points from Braydey Hodgins, overcame an eight-point fourth-quarter deficit to capture the 67-63 win. Other key Mountain West contests at Taco Bell Arena this season include a rematch of the Mountain West Tournament title game with Nevada (Feb. 2, 2 p.m.), a weeknight battle against perennial conference power Colorado State (Jan. 30, 7 p.m.), and a Senior Week final homestand that features meetings with UNLV (March 2, 2 p.m.) and New Mexico (March 4, 7 p.m.). This season, the Broncos return four starters from a team that went 23-10 overall, 14-4 in Mountain West play, and made its third NCAA Tournament appearance in four years last season. 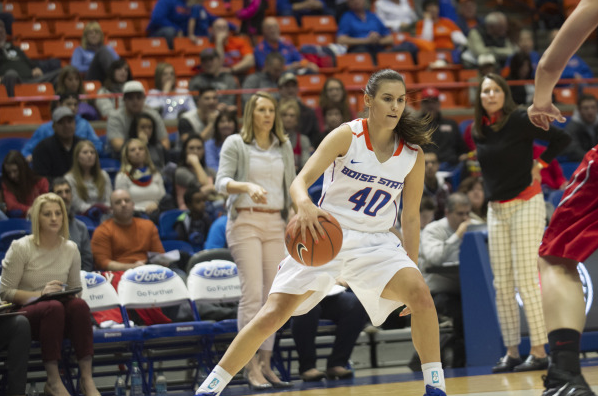 Among the Bronco returners are junior guard Riley Lupfer, an All-Mountain West Team selection and the Mountain West Tournament MVP, who set the Boise State and Mountain West single-season records with 122 3-pointers made last season. Lupfer also led the Broncos with 16.2 points per game while shooting 46.5 percent from the field, 45.2 percent from 3-point range, and 92.7 percent from the line. She's joined by fellow All-Mountain West selection Marta Hermida, a senior guard who averaged 10.8 points per game and led the Broncos in assists (155) and was second in steals (35) in 2017-18. Ticket Prices Admission Included with Bronco Sports Pass! Ticket Info Tickets available on-site, and included with those that have the Bronco Sports Pass. 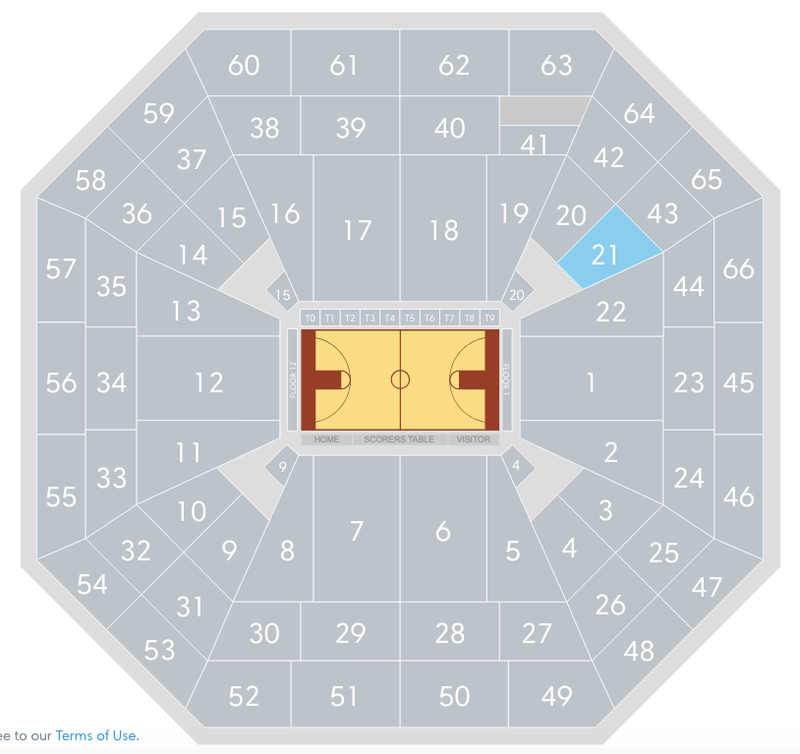 For single-game tickets, visit the link above to purchase.